Gartenberg Media Enterprises provides strategic advice to independent producers and contemporary experimental filmmakers about creative projects, extending from their production phase through to distribution strategies and exhibition platforms. The company’s objective is to help cutting-edge filmmakers expand their visibility in the marketplace. Jon Gartenberg has written an article entitled, "The Fragile Emotion," about the art and business of experimental filmmaking in the book, Swimming Upstream: A Lifesaving Guide to Short Film Distribution (2008). One of the most vibrant, yet underexposed, currents of the short film format is experimental filmmaking, which has historically also been referred to as avant-garde film, underground movies, expanded cinema, and visionary film. Experimental filmmakers create their works as labors of love, in the pure spirit of self-expression, without regard for financial profit, or to use as a calling card to Hollywood. Making experimental films is most often a solitary experience by a single individual, without benefit of a cast or crew. 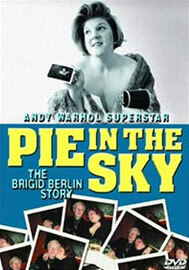 PIE IN THE SKY: THE BRIGID BERLIN STORY – This documentary, produced and directed by Vincent and Shelley Fremont, features Warhol superstar Bridget Polk. This film had its theatrical premiere at Film Forum in New York. ANDY WARHOL – This multi-part television series, produced and directed by Ric Burns, chronicles the life and career of iconic artist Andy Warhol. This film had its premiere on PBS’s American Masters. GME has also produced two films through its Experimental Filmmakers Production Fund: Ken Jacob's CYCLOPEAN 3D: LIFE WITH A BEAUTIFUL WOMAN. CYCLOPEAN 3D has been screened at various festivals and museums worldwide, and Jeff Scher's TUNNEL VISION was featured on the New York Times’s “Opinionator” column.